Mia: Welcome everybody to Paws & Play episode 2. I’m your co-host Mia, and I'm here with Dr. J.
Dr. J: Hi everybody welcome back! Mia: Well, Dr. J, I know that you are just as ready for the sunshine and actual spring weather to get here as I am. I’ve started, and then had to stop getting my yard prepared, but I can't wait to get out there. That being said, there's been a lot of stuff popping up all over the yard — some of which I don't know what it is, and some of which I do know is definitely hazardous — but it's all stuff that I never would have known before starting to work at Preventive Vet. So let's talk about some of these hidden dangers in in the yard and garden. You know, Easter just passed a little while ago and we all know that lilies – well, some of us I guess, know that lilies are toxic. Dr. J: Unfortunately, not enough people. But we’re going to change all that. Mia: Exactly, so talk about some of the plants, because obviously, we can't go over all of the plants, but maybe some of the more popular plants that are hazardous. Dr. J: Yes, and I think that lilies are a great place to start because they’re so ubiquitous and dangerous to cats. And it's not just in our yards but also a lot of people bring them into their house. Whether it’s the Easter lily plant you bring home from church on Easter, or they get a bouquet of flowers for Mother's Day – which is coming up. Dr. J: Yeah, any special occasion. Whether they receive a bouquet, it may have lilies. Or they may send a bouquet to their mom, it may have lilies in it. If you've got cats in the house, or if you've got cats that go outside in your yard, truthfully there really shouldn't be any lilies. 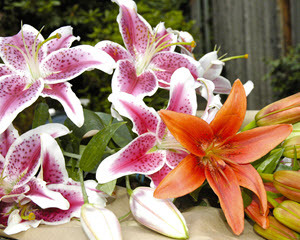 And I'm talking the true lilies, so the Stargazer Lilies, the Easter Lilies, the Tiger Lilies. So the lilies in the genus, Lilium, and then also some of the day lilies in the genus Hemerocallis. These lilies are extremely, extremely, extremely, extremely — I can't emphasize it enough — extremely toxic and dangerous to cats. What we would call the toxic principle, the compound in them that can cause significant problems, is throughout the entire plant and flower. So, it's not just the petals, it's also the stems. It's water soluble, so it’s in the vase water. And it's also in the pollen. So, something that is seemingly as simple or innocuous as a cat brushing up against a lily plant or flower, and getting the pollen on their coat and then grooming it off, could be enough to actually destroy their kidneys and put them into acute kidney failure, which can be very expensive and not always successful in treating. I would encourage people to not take the risk, and double check all bouquets before they come in the house. And if you are sending flowers to a loved one and you know that they've got cats, very specifically request of the florist that they not include any lilies because the recipient has cats. Mia: Of course the Stargazer Lilies are like my favorite. Dr. J: They smell fantastic and they’re beautiful. You walk in to any supermarket or any florist and they just catch your eyeball. Mia: It’s crazy because I had actually just brought home a bouquet that included some lilies, and then just after that, read one of our articles about the toxicity. I just kind of went into a panic too, because some of the petals were starting to wilt and fall off. And then I noticed little bits of pollen around. So just knowing that that is super dangerous, and knowing how much my cat Mazel loves to groom himself, we got those out very quickly. Dr. J: Good for you. Yeah, I mean, I have even been known to — probably just like the crazy guy around town — I have been known to go up to people in the supermarket if I see them getting lilies, and just say very casually, “Hey you don't have cats at home, do you?” And actually, there have been a few that have had cats, and really appreciated the awareness. So I do still do it, so if anyone's in or around Portland or wherever, and you see some random bald guy with a beard walk up to you and ask if you've got cats as you're holding lilies in your hand, please don't freak out and hit me. Mia: That doesn't sound creepy at all! Dr. J: I know, right? But you can't prevent what you're not aware of and it really is so simple to just change to a different flower. There are other beautiful flowers out there and I've just seen the implications of acute renal failure from lily toxicity in cats too many times to be quiet about it, because it's heartbreaking. Even if people can afford it, it’s still heartbreaking. I mean oftentimes you're looking at a week or more of a cat in the hospital on dialysis — which not every veterinary center even has available. So even if it freaks people out a little bit, I'm happy to deal with that. And if it saves one cat’s life and the significant heartbreak of the people in the family attached to that cat by doing so, I'll be that weird guy walking around the supermarket. Mia: Absolutely worth it! And you know what, I think that's a really great thing that you're doing, obviously, but it kind of makes me wonder — can we start some kind of an awareness campaign in supermarkets? Because I think that would be really great, helpful information to post there. Dr. J: Yeah, well I think, unfortunately, it will be difficult to get supermarkets or garden centers, or florist to post these things. I mean it would be fantastic and I think some do. You know, they're aware of the information, they’re aware of the danger, and their employees are cognizant at least of trying to prevent these problems. But I mean, heck, if anyone out there wants to join me in the weird act of just asking people holding lilies if they have cats and raising awareness, that's a quick and easy simple thing to do, and we don't have to try and change any big corporations to get it done. 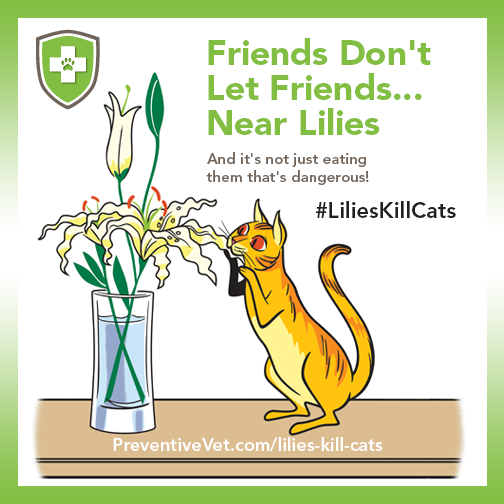 And as you know, Mia, we've got the Lilies Kill Cats infographic available for free download on the website. People can print that out and share it, and veterinary hospitals can hang it up. You know, just anywhere that we can get this awareness out there, it really will save lives and make huge differences. Mia: Of course, lilies are not the only beautiful plant that has this toxicity. And unfortunately, when I went to the ASPCA website, it seems almost easier to try to look up the plants that aren’t toxic. Dr. J: Right, and it is all about the severity of it. I mean, I don't want people to freak out and think they can't have any plants and flowers around or in their home if they've got pets. There's a lot of stuff out there that can cause mild problems in terms of maybe a little bit of vomiting and diarrhea, or digestive upset. But it's the ones that cause things like acute kidney failure, or sago palms that can cause liver failure. Or castor bean that's got some very significant impact and toxicity as well, those are the ones that people just need to be aware of. And I'm psyched that you're gonna include the ASPCA animal poison control toxic plant list link in the blog post because it's a fantastic resource. I mean the crew over at ASPCA poison control center, their praises don't get sung enough for really gathering this data and helping pet-lovers, as well as veterinary teams, know what we really have to be worried about. Mia: Because we don't want to be total downers, and be like, “Get all the plants out of your house!” I'm going to actually be trying to follow up with some people at garden centers, or a horticulturalist —that is not an easy word to say —to try to find some alternatives that might be good aesthetically. You know, you brought up sago palms and, my first reaction to hearing about that was like, well where is that found? Mostly in warmer climates. But then it was brought to my attention that they are constantly being sold at Ikea. And that's not something that I would have even thought about. I would have just been like, well that's cute and cheap and I don't have to assemble it myself, let's put it in the basket! Dr. J: Yeah and then that that brings them into the house. I mean, sago palms historically and typically were mostly a problem in the southern parts of the U. S., especially the southwest where it's nice and warm and dry. And it was mostly a danger for dogs that spent time outside in yards and stuff like that, but now they're coming in the house because they're being bred smaller and are being sold as houseplants. And it really introduces a very, very, significant risk — and again, both for cats and dogs. Dogs are probably more inclined to nibble on them, and especially the little base, the nut at the bottom. But cats can do it as well, and just a little bit a sago palm can cause absolutely devastating liver failure in a cat or dog. Even with pretty aggressive treatment, the liver is just too important an organ to fail, and so if it's not caught in time, or if really aggressive treatment can’t be authorized, whether it be for economic reasons or logistical reasons or any other limitation, sago palm toxicity can be fatal. It’s pretty devastating to watch a dog or cat go through liver failure of any kind, but certainly knowing that it was from a plant that you brought in the house because you weren't aware of the danger, is pretty devastating. Mia: So, when it comes to finding out, or figuring out, that that’s what happened, let's say that you notice something a little bit amiss by whatever it's potted in — what are some signs to look out for to know to get them in as soon as possible? Dr. J: I think any time if your cat or dog is vomiting, if they're off their food, if they’re more lethargic, so their energy levels aren’t great… maybe they're drinking excessively or peeing excessively, or maybe they're not drinking at all or maybe they're not peeing at all — those types of changes, though they're not specific to sago palm toxicity or even liver failure, those are concerning if they're going on for more than, depending on how severe they are, if they’re going on for more than an hour, a couple hours, or certainly if they're going on for more than a day, that's an indication that they really need to be evaluated by their veterinarian to start the investigation of what's going on and what's causing the problem. But also very importantly, to try and intervene with certain therapies to try and slow down the progression or correct the course. So people should really do that. As far as liver failure, and again not just exclusively from sago palms, even from stuff like Xylitol, or whatever it might be, you may start seeing a yellowing of the whites of the eyes — the sclera of the eyes. So what should normally be nice and white, may take on more of a yellowish tinge. You may also get that yellowish tinge, that jaundice and icterus of the inside of the years where, again, it's normally kinda whitish-pink. Also the same with their gums, so right above their teeth, or just generally their skin. That can be a sign of liver failure. It can also be a sign of red blood cell destruction and a couple other problems, but again, that would be an indication that it's time to get them into the vet. As the liver starts to fail, that vomiting and diarrhea may have blood in it and it's not always going to be like a bright red frank blood… This is turning into a really nice conversation isn’t it? I hope nobody’s trying to eat while we’re discussing this, but it might not always be that bright red frank blood, it may be more of like a dark, tarry stool, and that's just because that blood is being digested as it passes through the intestines. So if you're seeing your pet being off, get him into the vet. Mia: Obviously there's plenty of stuff that we can choose to not bring into the house, but there's a lot of stuff that we don't necessarily have the choice over. When we moved into the house that we're renting here in Seattle, I said this in the first episode, this is the first time that I've ever had a yard in my life, so I'm being introduced to a ton of different plants and I swear it seems like something new is growing on like a weekly basis. So it's difficult to know what everything is. And my landlords, after asking them, they don't know what's back there either. One tip that I got, if you are curious or if you're trying to make sure that what you have back there won't be poisonous to your animals, is to take clippings of the plants to your local garden store, or somebody that would have more of the details and be able to classify them. Dr. J: I would definitely encourage people to do that. Go to your local garden center with pieces of whatever plant, or mushroom, you might find in your yard. You can also take pictures with your cell phone — I would do both really. On the site, we've got some links and resources for people for mushroom identification. Because foraging for mushrooms is such a popular thing, especially here in the Pacific Northwest, but in a lot of other areas as well, there are some great online resources for helping with mushroom identification. Because these mushrooms that are toxic for pets are also frequently toxic for people. You know, one of the most common and one of the most deadly, is the aptly named death cap mushroom. If it had a sign on it I bet everybody would steer clear of it — although I guess cats and dogs can't read so that wouldn’t help them. But that's an Amanita mushroom. Fortunately, a lot of these mushroom identification resources, online or books or what have you, will have some very good pictures and descriptions of them so that you can identify them yourself in your yard. But you can very much bring them to a garden center or a local mycologist, who I guess would be the technical name of a mushroom, or fungi expert. Or I guess they would just be a fun guy at work. Or fun gal. Dr. J: Exactly, a fun person, that’s what we’ll call them, a fun person. But, it is important to try and identify things. And yeah, you're right that's a great tip to share with people to help them identify these things in their yard. Mia: I'm glad you brought up the mushrooms because that's something that I definitely didn't know about and we have these weird ones popping up all over our yard. I've been doing my best to get rid of them, but of course, they come back almost immediately. Dr. J: Well, and mushrooms can be really difficult to eradicate because they've got an underground network. It’s a whole huge root system; the one mushroom that you see in your yard isn't a solitary thing, it's connected with a ton of the other mushrooms in your yard, and mushrooms outside of your yard. They are like a little community unto themselves, so really, fully eradicating them can be quite difficult. And that's where these fun people, fun guys and fun gals can come in really handy as far as trying to give you some ways to better eradicate them or keep them under control in your yard. And maybe clearing up debris from under fallen logs and sticks, and leaves from under trees, because that's the nutrient-rich environment they really tend to thrive in. And so, there are ways to do it, but it's also really important to know if you've got these things in your yard, to keep your dog away from them. So whether that means putting up fencing around the areas where you know they are, or bringing your dog out on a leash or something like that. One of the big problems with mushrooms, you know we were talking about a liver failure, is that, because it's such an important organ, sometimes even with unlimited financial resources and to the best medicine the best tools and treatments and everything available, sometimes you just can't save these guys. 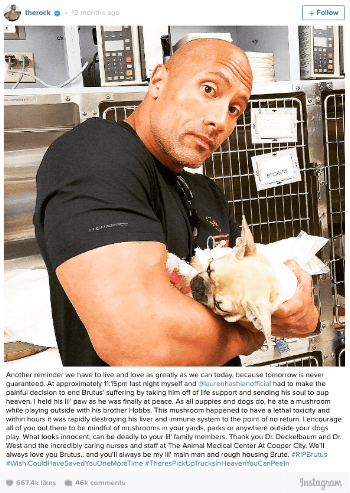 You know, Duane Johnson, “The Rock”, it was a few years ago now I guess. He had just a few weeks prior, saved his little French bulldog puppy after he fell into a pool. He saved him from drowning, which was awesome. And then, sadly, a few weeks later they had to make the tough decision to let him go because he had gotten into a toxic mushroom in the yard, and he was just beyond saving. Obviously, he's one of the highest paid actors in the world — it wasn't a matter of finances. So really, being aware taking the awareness and taking the steps to try and prevent. An ounce of prevention is more valuable than a pound of cure. And unfortunately, that was the case there. These things can’t always be prevented, but if you're aware of them and if you share that awareness, people at least have a fighting chance. Mia: I think this actually naturally kind of goes into a pesticide and insecticide conversation because you might take the steps to get rid of the mushrooms by using this other stuff which also has lots of problems. Dr. J: Right, they can do. Mia: When we when we first moved into the house that we're renting, our landlords had some lawn people over to get it prepared for us and then, knowing that we have a dog, actually told us to wait a couple of days to use the yard because of whatever they had put down on it. Dr. J: Right, and that's good advice. Really, there's a lot of stuff that you can get at the Home Depot, or Lowes, or whatever your local gardening center is, as far as pesticides, fertilizers, things of that nature — and I would always encourage people to really read and follow the label instructions very carefully. Try and choose pet-safer options where they're available. So, not necessarily weed killer or pesticide or anything like that. 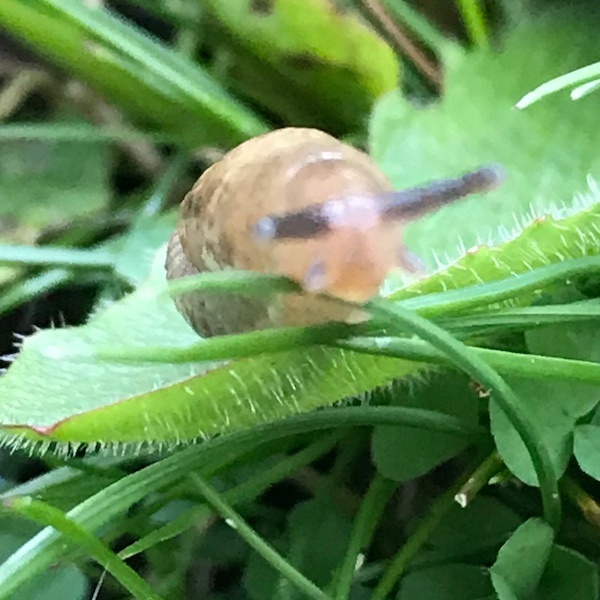 But like some snail and slug bait, for example, the most common ones are based on a compound called Metaldehyde, which is extremely toxic to cats and dogs. They can cause very significant tremors leading to kidney damage and whatnot, and there's a pet-safer option — I would never say, “pet-safe” option, but certainly a pet-safer option in terms of those that are formulated with iron phosphate. They can be safer for pets and around pets, so that's at least one small step you can take at least in that scenario. But with the pesticides and fertilizers and things of that nature, reading the labels, if you're working with a professional make them aware that you have pets and ask them to use the pet-safest methods possible. 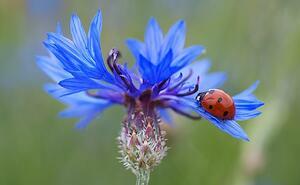 Sometimes that's integrated pest management, so using ladybugs in the yard to try and keep aphids away, as opposed to a pesticide or things of that nature, that is going to be safer for your pets overall, and healthier for your yard and gardens. Dr. J: Well if you’ve got aphids there, they've got a ready food source. So, that's satisfying one of their big needs. And sure, I’m sure some of them will fly away, but it can be helpful. We tried it once in our yard with our tree, and between that and spraying soapy water solution onto it, which the garden center recommended, it did seem to work. We're certainly getting less aphid droppings (?) on the cars, and the leaves were nice and shiny too! So there are a lot of other things that people can do. And even, so you go to the garden centers; a lot of the land grant institutions, universities and centers of higher education in the country, will have extension centers. So like the state universities, you know I graduated from Penn State University — go Nittany Lions —they have an extension that you can reach online out here. Oregon State University has a great extension department that you can find online and they've got some great tips on gardening and integrated pest management and stuff like that. So there's a lot of resources for people as well as your local garden center, and exterminator type of companies and organizations. So there's lots of help. Mia: So this actually all kind of makes me think about when we bring our animals elsewhere and the things that they're using in parks and other places. And there isn't a question here, but just something else to also be mindful of is that it's not just your yard but it's wherever we're taking our animals. Dr. J: Yeah well and a lot of places, we haven't touched upon the rodenticides, the rat and mouse poisons that are laid out oftentimes in city parks, sometimes even around schools. Now a lot of them are supposed to be in bait stations so that it is safer for even the kids around. But that doesn't mean that pets are completely safe from that. So, again, keeping an eye on them, being aware, and I mean pesticides and stuff that may be sprayed in a field, in a park, that you don't know that they were sprayed the day before, just a couple hours before — hopefully they've put up signs but sometimes you walk right in the middle of where the signs are placed, and you don't see the sign. Mia: Right, and they probably aren't posting about absolutely everything, for example, the slug and snail bait. Dr. J: Yeah, so being aware is important. Mia: Right, and another big one that I hadn't even heard of until — actually it's one of the tips in 101 Essential Tips — about cocoa mulch. I'm still just getting into this gardening thing, so I'm learning a whole lot. Even trying to figure out what mulch actually is. 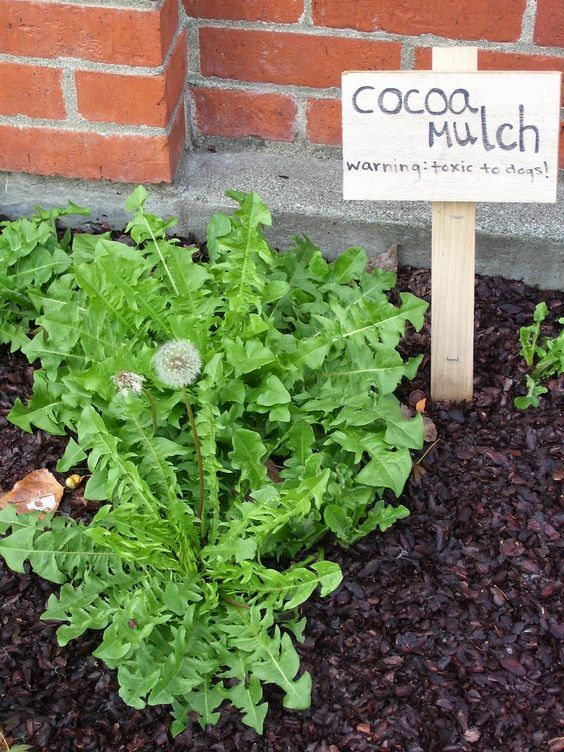 But cocoa mulch is used a lot these days and obviously with chocolate being toxic, if you're using it, there’s probably a pretty good chance that your dog will get near it. Dr. J: Yeah, I mean dogs are definitely attracted to chocolate, as we well know, and cocoa mulch, which are the hulls around the cocoa seeds, that are really good at helping to retain moisture in your soil and are sometimes actually part of integrated pest management because they can repel certain pests from your garden. But it can be dangerous. Fortunately, some of the companies are taking steps to do different washes and stuff to remove the toxic compounds. The problem with chocolate for dogs and cats is a compound called theobromine, which is very closely related to caffeine, and so it can make the heart race. It can cause arrhythmia, so I'm abnormal heart rhythms, it can cause seizures and things of that nature. And coco mulch can have some degree of theobromine in it, and so if a dog eats it, they can absorb that theobromine and suffer the toxic effects of it and basically suffer from chocolate toxicity. Now again, some companies are taking steps to remove that theobromine, some dogs are more inclined than others to eat cocoa mulch, or anything that can't run away fast enough — I’m looking at you Labrador retrievers. 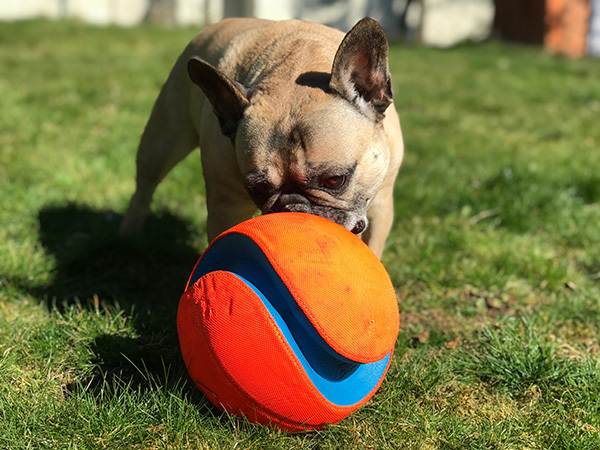 But even if the theobromine is removed but a dog is attracted to it and is going to gobble some down, they may actually just even wind up with digestive upset, or even a digestive obstruction. So, again, being aware that cocoa mulch can cause a problem for your dogs and either using it sparingly, or with caution, or not using it if you know that you have a dog that goes out in the yard and eats things. And you're right, the cocoa mulch tip, is a tip in the 101 Essential Tips book for dogs, it’s tip number forty-two. I just looked it up. Mia: I was like wow, you’ve got that all memorized, that’s amazing! Dr. J: Yeah, I don't have 101 tips memorized, I mean I know what's in there, as far as which tip it is, but I figured I’d save people the trouble of thumbing through the index. But yes, it is there. Mia: I was kind of thinking, and it's not just the cocoa mulch, but really everything else that we've talked about too — I mean for the lily toxicity it seems very severe, but let's say that they're not getting into the cocoa mulch eating it head-first, but they’ve walked on it, or let's say they roll around on it and then are grooming themselves. Would that be an issue? Maybe even extending to some of the other stuff that we've talked about. Because I'm always like, on my gosh how much is okay? Because when I'm playing ball outside with Marshall and I don't know necessarily… I've accidentally thrown it into his poop. And that’s a problem! Dr. J: Right, well I’d go with very little poop that you’d want him eating or licking. I'll just jump into an answer with that. I mean really, as far as rolling in cocoa mulch, or stepping on it and licking it off their paw, that really shouldn't be too much of a problem at all for most dogs. But rolling in the grass that’s just recently been sprayed with a pesticide, or rolling in a snail and slug bait kind of crushing into their coat, or stepping on and then eating it, depending on how big your dog is or your cat and how much they get, that can certainly cause a problem. But typically the bigger exposure risks are actually fully ingesting it, so if you've got a dog that likes to go out and do their best cow impression and graze on the grass whenever you let them out, you need to be a little bit extra careful when applying fertilizer and or pesticides or anything like that, weed killers, to your lawn. You need to make sure to let it dry. Maybe let it dry and then wash it off, depending on what it is and how long it has to stay in contact. Or just not use those things, or not let the dog out in the yard. But, that's the whole point of having a dog and having a yard, is getting to enjoy the two of them together when the nice weather comes around. Mia: How bad are apples? I was a terrible owner — or I won't say terrible, but I was definitely an ignorant owner early on in life with my dog Kirby. I think I used to actually give him some slices of apple. Dr. J: No, apples are fine for dogs and it's one of the things that I’ll recommend, and a lot of vets will recommend, if you're trying to get weight off of a dog. If you want to give him treats, you can give apple. But you don't want to give huge chunks that they could swallow large pieces and potentially become obstructed on. There is some degree of cyanide in apple seeds, but really a dog would have to ingest quite a few seeds to have a significant problem, most likely. The biggest risk really with apples, is getting an obstruction. So if they swallow a huge chunk of an apple or one of those little guys, the crab apples or whatever, if they in their exuberance to just Hoover up whatever's on the ground in front of them, if they swallow a crab apple whole, or take a huge chunk of a regular apple and swallow it, they can definitely become obstructed in their stomach and or their intestines. So you want to be careful there. Same can be said about the stone fruits like the apricots, and plums, and things of that nature. If you’ve got those trees in your yard, if those things fall and your dog eats them — and even cherries, depending on how big your dog is, they can certainly become obstructed from the pit — picking those up as best you can, though that's not always terribly practical, if there is a certain radius around the tree where the fruits tend to fall, if you could put up a fence to keep your dog away from there, that can help. Or again, not letting your dog out in the yard unobserved can help as well. Mia: I mean there's a million other hazards, of course, that we could get into, but we will not get into them on this episode. Dr. J: There would be one more that I would just throw in kind of as a last like, hey, please keep this in the back your mind, and this is in particular for people with young puppies or small dogs, and certainly with blind dogs as well, is if you've got a pool in your yard, or in your neighbor's yard, just be really careful with pool safety. Making sure that they're well covered or that they've got a fence around them that your small dog or your puppy can't wander through. Because unfortunately every year, plenty of little puppies, and even kittens, find their way into pools and drown. So l just always want for people to be aware of that as a potential, because they don't think about it until sometimes it's too late, or they read a news story, and so just being aware of that and taking some precautions can help avoid some heartbreak. Mia: Absolutely and thank you for mentioning that, because also, contrary to what a lot of people may believe, not every dog can swim. Dr. J: Right, even though there's a stroke named after them, not every dog really knows it or does it efficiently, and especially puppies because the panic sets in and they're maybe not strong swimmers, and so that's devastating. Mia: Dr. J thank you so much, as always, for all of your insights, I just really appreciate it, and thanks for all that you do. Next time, we're gonna get into some parasites! Dr. J: Sounds like fun. Again, not exactly a lunchtime conversation for those who are listening. So maybe download it and then listen to it later when you've got a stronger stomach and less food in front of you. I look forward to episode three and I just want to thank everyone for joining us. Feel free to send in your questions that you’d like for us to address on future episodes of this podcast. 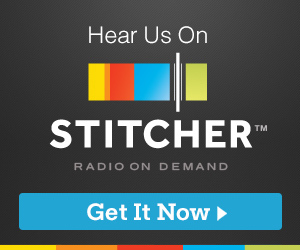 You can subscribe to Paws & Play with Dr. J on iTunes, iHeart Radio, Stitcher, and Google Play. 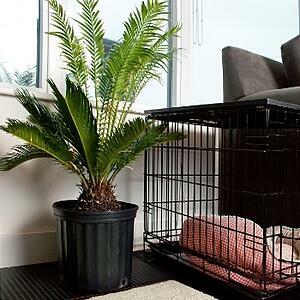 Here are some pet-safer options that caught my attention while looking through the ASCPA list of plants that are non-toxic to cats and dogs. As an added bonus, if you're looking for a feel-good to shed a few happy tears to while enjoying beautiful gardens and gaining creative inspiration, check out Love Your Garden, currently streaming on Netflix. 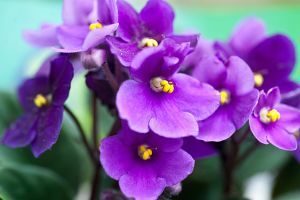 African Violets aren't the easiest plant to take care of, but if you've got patience, and aren't an over-aggressive waterer (which I tend to be), these are some serious beauties that play well with cats and dogs. If you're looking for something non-toxic that is much easier to grow, and needs minimal care, Bachelor's Buttons might just be the way to go. They thrive in sunny places, and come back year after year. 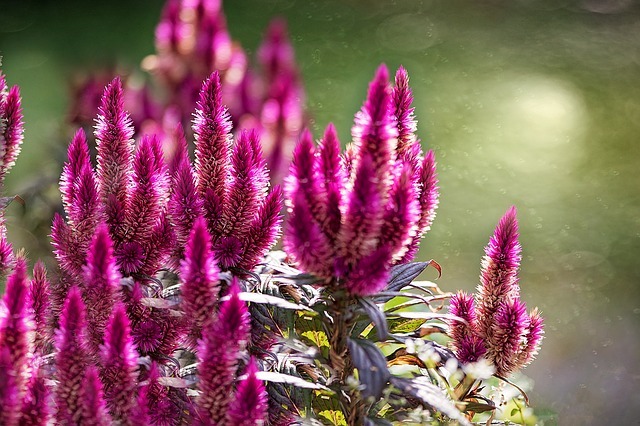 Celosia is another beautiful non-toxic easy-grower. Give it lots of light, and these unique plants will continue to reseed themselves. But keep in mind, they don't do well in the cold. 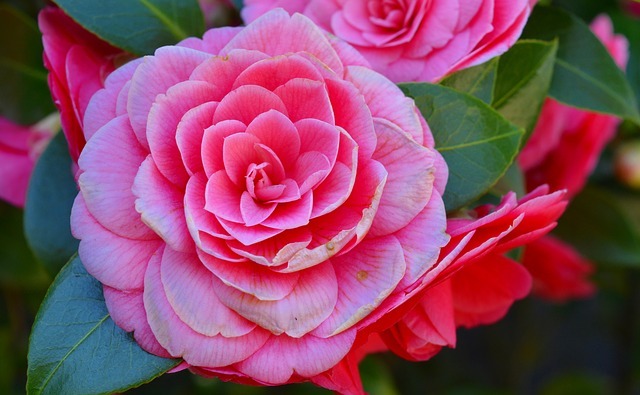 Camellias may be trickier than the last two, but just look at how striking they are! These need shade, so keep them away from direct sunlight. Of course, there are no shortage of beautiful plants and flowers. 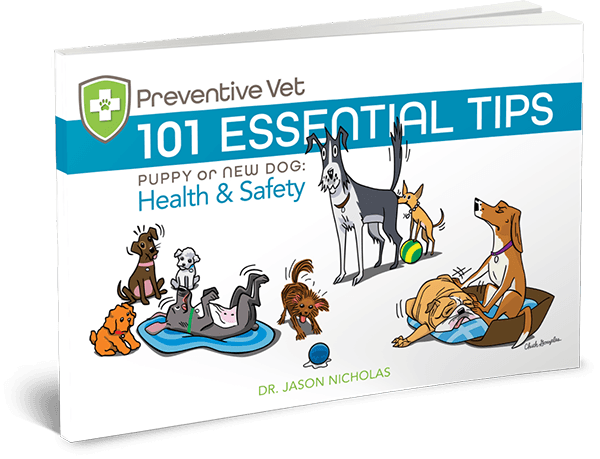 Do you have any pet-safer favorites that have been easy to maintain?